"Ed Ruscha: Prints and Photographs"
Ed Ruscha, Periods (2013), lithograph, 73 x 71.1 cm. Edition of 60. ©Ed Ruscha. Courtesy Gagosian Gallery. Photo: Robert McKeever. New York was not one of the venues for the retrospective “Ed Ruscha: Editions 1959–99,” organized by Siri Engberg at the Walker Art Center 15 years ago. 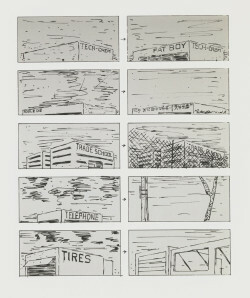 It traveled to Los Angeles, where Ruscha has long resided, and to Tampa, but not to the Northeast. A New Yorker, I remember feeling really disappointed about that at the time. Ruscha is one of a handful of postwar artists for whom the printed image (photographs, books, portfolios and wall-mounted editions) has been as important as any of his work in monumental mediums. 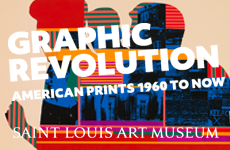 He began making prints in graduate school at Chouinard Art Institute (now CalArts), which he entered in 1956, and took them up professionally in 1963. Photography was a constant for Ruscha in those early days. Offset books such as Twentysix Gasoline Stations (1963) and Every Building on the Sunset Strip (1966) revolutionized the artist’s book and pointed the way to the deadpan serial imagery of the New Topographics photography of the following decade. 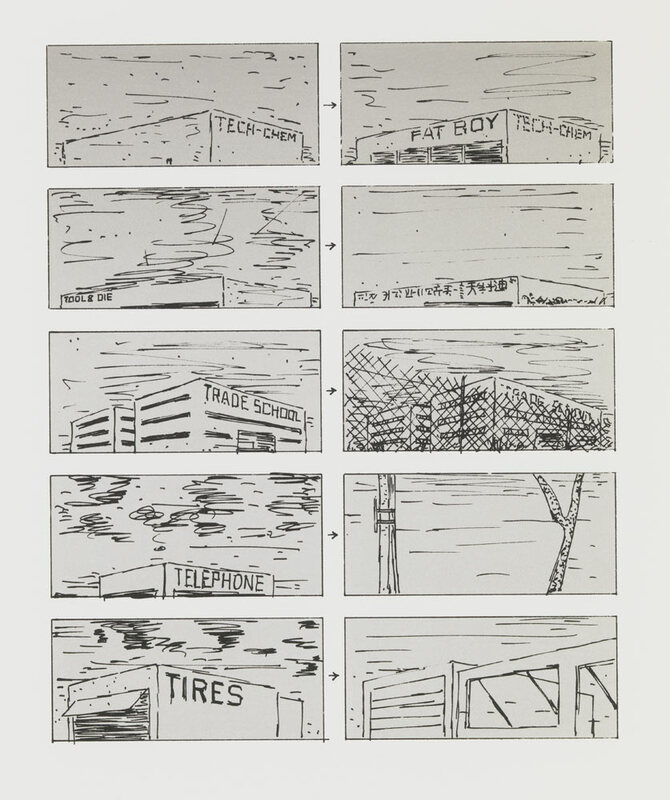 Already by the mid-1960s in screenprint and lithography Ruscha was exploiting the multiple meanings in signage (Hollywood, Standard gas stations) and other forms of text, with its innate ties to print, and making poetry of banal vernacular imagery. Some might argue that of all the mediums in which Ruscha has worked, none has more capably embodied his interests. A summer exhibition curated by Robert Monk at Gagosian’s Madison Avenue space sampled 139 prints and photographs—many in groups and series—from 1959 to the present and whetted the appetite for an update to the Walker show. It ran nearly concurrently with Jeff Koons’s four-floor behemoth at the Whitney across the street, offering a lyrical, strangely handwrought alternative to his heady cynicism and allowing for an almost textbook demonstration of the two artists’ post-Pop divergences. 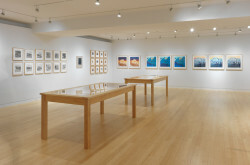 “Ed Ruscha: Prints and Photographs” installation view. ©Ed Ruscha. Courtesy Gagosian Gallery. Photo: Robert McKeever. Even at 139 works, the Ruscha show made no claims of being comprehensive. The great silhouette prints (galleons, an anchor, wheat, a dog) that Ruscha began producing in various mediums in the late 1980s were absent, as were certain classic images such as the street intersections. Among the prints, the focus was on works with text; most of the photographs were taken in the early 1960s but printed after 2000. Monk, a director at the gallery with a long history in prints, has an excellent eye, and the show looked simply great. The 1970 portfolio News, Mews, Pews, Brews, Stews & Dues, whose title words are screenprinted in “ink” made of organic foodstuffs ranging from chocolate to Bolognese sauce, was generously displayed in big vitrines. 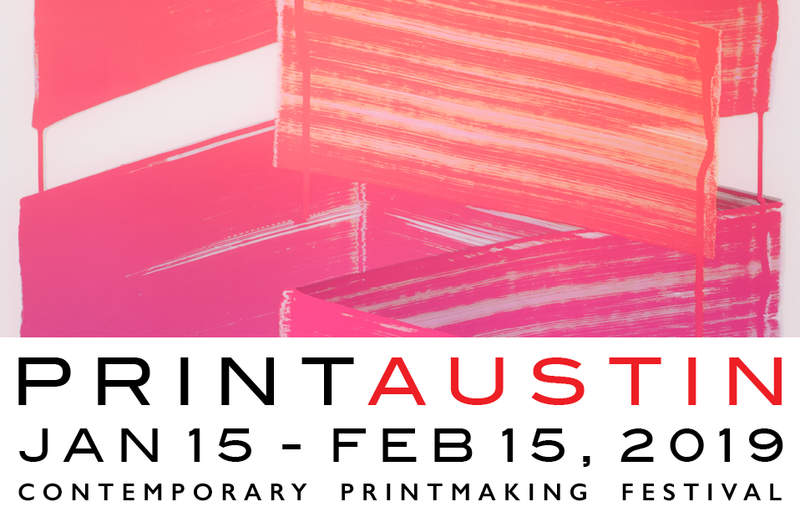 The four screenprints of the 1975 Tropical Fish Series depict neither tropics nor fish. Made at Gemini G.E.L. and related to the film Miracle, which Ruscha was shooting at the time, the prints were created by photographing rhyming sets of found objects in horizontal rows then recasting them vertically against lushly colored fabrics, anticipating the effects of digital manipulation. “Sweets, Meats, Sheets” includes a bag of Hershey’s kisses, three packaged steaks, and a new set of sheets still in plastic; the objects seem to rise supernaturally—and cinematically—from their crinkly backdrop. From the late ’80s, the show included a dozen of the artist’s so-called Suggestors, in which words of certainty (“definite,” “correct,” “true,” etc.) materialize against raking grids that suggest colored light refracted through a window. Collectively titled That Is Right (1989), the lithographs were produced at Hamilton Press in Venice, Calif. Ed Hamilton was one of many printers represented in the show; Ruscha has worked with a stellar international roster of shops, including Tamarind, ULAE, Cirrus, Mixografia, Atelier Crommelynck, Alecto, Crown Point and Gemini, among others, a scope that plays an important role in the works’ rich material and technical diversity. It’s hard to think of another artist who has worked in so many major ateliers. Ed Ruscha, Tamarind Set (1975), three color lithographs, 76.2 x 55.9 cm each. Edition of 35. ©Ed Ruscha. Courtesy Gagosian Gallery. Photo: Robert McKeever. By 1999, Engberg’s catalogue raisonné had logged 374 prints of one sort or another and 17 books, but many more have appeared since. And that show did not include photographs meant to be viewed as such, rather than in books. At Gagosian, the placement of groups of photographs alongside prints allowed a ready, enlightening, comparison; in both, Ruscha eschews, as much as possible, overt human presence and extraneous detail. However, there is a difference. One is always aware of the indexical nature of the photograph—we are fairly certain that a dinner party produced the poignant leftovers in Joyce Wallace’s Automatic Table Arrangement (1962/2005). In Roof Top Views (1961/2003) and Roof Top Views 50 Years Later (2012), Ruscha shot neighborhoods from the same angle a half century apart; the photos were exhibited one above the other, allowing us to peer closely at the changes from one era to the other. A cool early ’60s series of consumer products (Spam, Sunmaid raisins, et al.) feels downright nostalgic, given the sheer plethora of today’s competing brands, and gives us a sense of the epoch. Ed Ruscha, Black Course of Empire (2005), lithograph, 45.7 x 38.1 cm. Edition of 35. ©Ed Ruscha. Courtesy Gagosian Gallery. Photo: Robert McKeever. By contrast, the prints are dramatic fictions. The four looming Standard station screenprints made between 1966 and ’69, with their raking perspectives and rainbow skies, are downright mythic, a sharp contrast to the banal gas stations of the photographic series. Flies and ants (screenprints again, 1972), though reproduced faithfully and to scale against faux-woodgrain backdrops, are displayed in gorgeous golden ambience for no apparent reason, spread out in an irregular allover scattering and producing a surreal frisson. One sees Ruscha’s agency more readily in the prints, where in the photographs his cool, almost passive witnessing is more the point. And of course, there are those texts—signs, phrases, random words—often with a punning humor that arises from the signifying properties of the words but also through how they are formally deployed. 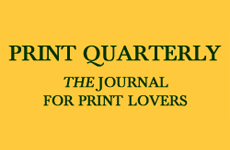 The word “carp” in Carp with Fly (lithograph, 1969) flops around liquidly on its page; “news” in News, Mews, Pews alludes to the tabloid culture in London, where Ruscha made the prints. The self-confident words in That Is Right are spelled out in large capitals printed in a ghostly white ink that seems to appear and disappear, undoing certainty before our very eyes. The sweep of time represented in the show allows us to see, beyond the wittiness, a kind of melancholy. The generic items—upholstery, tires, mufflers, parts—denoted in signs on the topmost part of the facades of blank buildings in the Archi-Props series (1993/1997; all seven lithos were present) are delivered in a delicate upper case that feels strangely obsolete. This quality is made more explicit later, when the same images appear under the titles Brown Course of Empire and Black Course of Empire (2005). 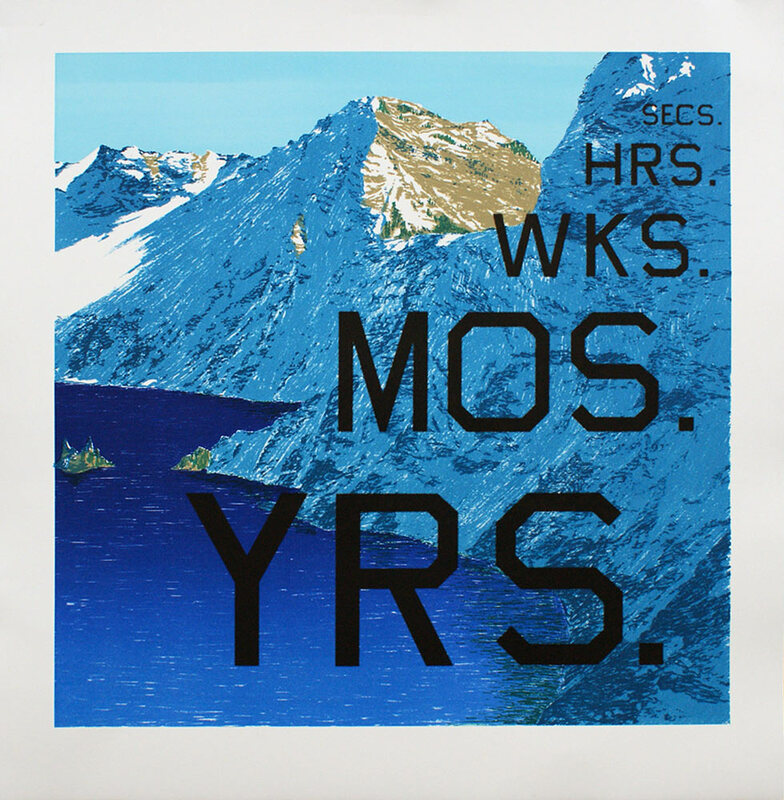 From the start, Ruscha showed the famous Hollywood sign deteriorating, and more recently he has blazoned giant words and abbreviations (“history kid,” “wks. mos. yrs.”) over Western peaks lit by Technicolor sunsets. It’s an ending, the close of a long meditation on the failure of American exceptionalism and the death of industry. “There’s no job too small” reads a 1975 lithograph. At the time it must have carried the whiff of counterculture. Today, it seems downright prophetic.